A romantic sculpture of a young woman contemplating a book of poems. This young woman is sitting peacefully and reading a book of poetry. This sculpture gives me a sense of serenity when I look at her. Sitting though she is, I incorporated compositional and design aspects to give a spiraling movement to this peaceful sculpture. Among these aspects are putting the head, shoulders, hips, and legs on juxtaposed planes which give movement. 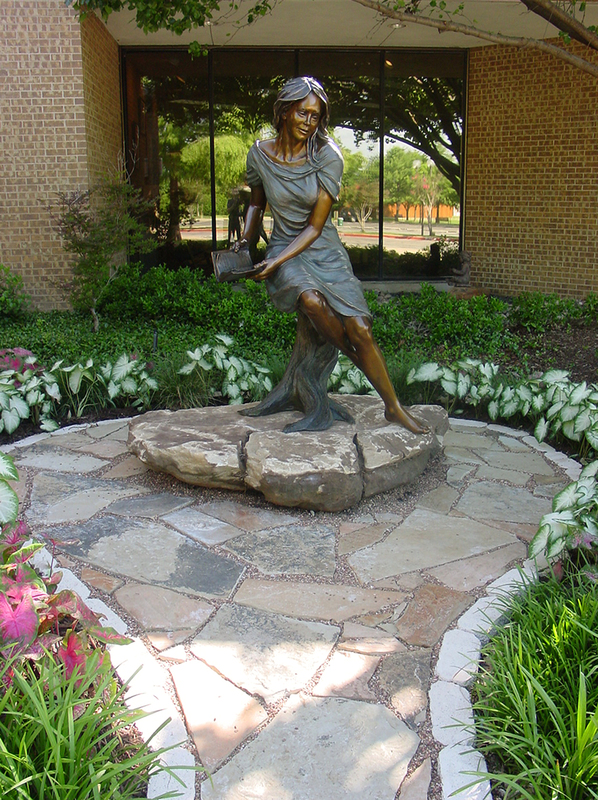 By repeating forms such as in her swirling hair and the twisted tree, the statue takes on an aspect of unity.